Economic growth hit 4%. Is that sustainable? 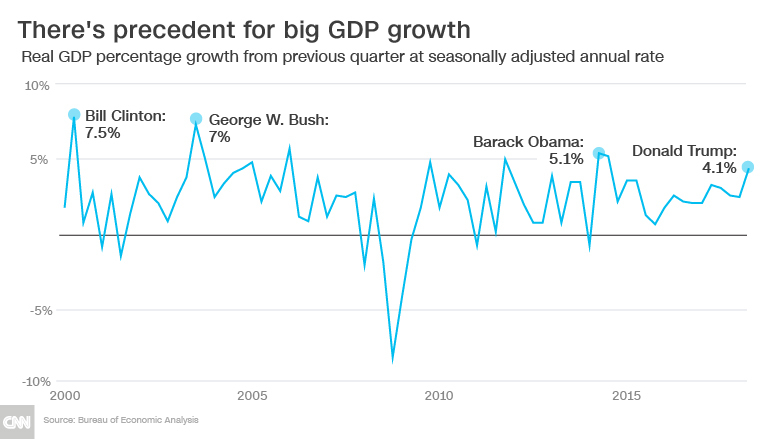 The US economy roared into high gear in the spring, growing at the fastest pace in almost four years. Second-quarter economic growth came in at an annual rate of 4.1%, the government said Friday. That was the best showing since the third quarter of 2014. 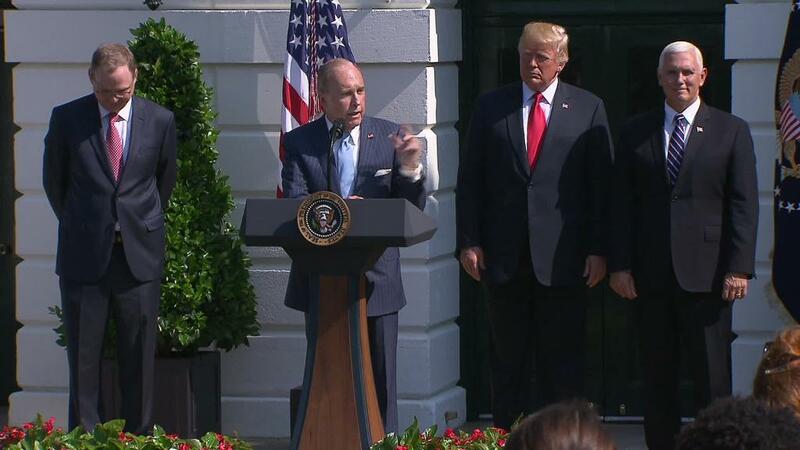 President Donald Trump and his advisers trumpeted the numbers in a news conference outside the White House, saying that the economy was on pace to grow at the fastest rate in 13 years. "This is a boom that will be sustainable as far as the eye can see," National Economic Council chairman Larry Kudlow said. "This is no one-shot effort." If the economy grows at 3% or more in 2018, it will be the highest annual rate since 2005. Economists are generally predicting slower growth in the second half of the year, though, as the effects of the tax cut wear off and rising interest rates depress consumer spending. Economists also expect slower growth in 2019 and 2020. "In one line: Looks great; won't last," wrote Ian Shepherdson, chief economist at Pantheon Macroeconomics. "If you borrow enough money from your grandchildren and throw it at the economy, it will grow faster, for a while." Already announced tariffs are forecast to be only a slight drag on economic growth, unless more are imposed. And it seems that corporate executives are treading carefully, as surveys of business confidence and hiring expectations begin to flag. Weak home construction and increased imports, which subtract from economic growth, took it down a notch. Growth in the first quarter was revised up slightly, from 2% to 2.2%, while the fourth quarter of 2017 dropped from 2.9% to 2.3%. The personal consumption expenditures price index, a key metric that the Federal Reserve uses to decide whether to raise interest rates, came in at 1.8%, down from 2.5% in the first quarter.